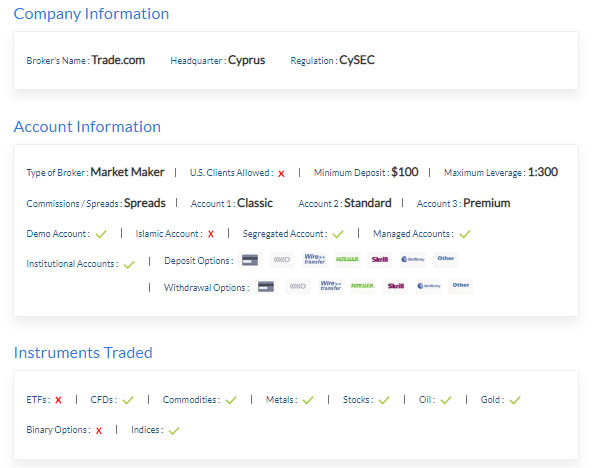 Clients at Trader.com can trade a wide range of instruments including commodities–precious metals Gold and Silver, oil, wheat or sugar, major indices, such as the NASDAQ, FTSE or NIKKEI, a variety of international stocks, bonds and CFDs. There are no commissions on CFD trading and margin requirements are as low as 2-5%. The spreads on CFD instruments are tight. Withdrawals can be made using the same methods. 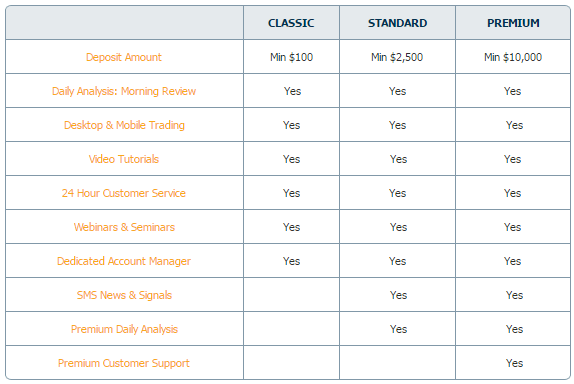 There are two key features that make Trade.com stands out from other Forex and CFD brokers. The first is the fact that it is highly regulated which is considered vital in the Forex industry. The other feature is the availability of several trading platforms including the ever popular MetaTrader4 platform which offers a host of trading options and benefits for traders of all trading experience. The use of a mobile platform is essential to the success of Forex trading in today’s high powered marketplace. 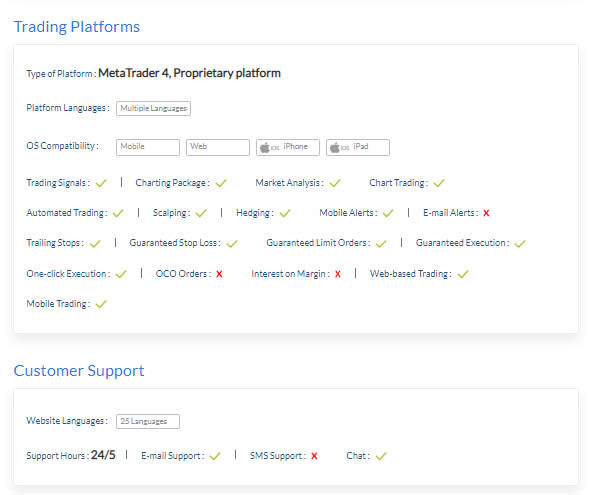 Trade.com offers traders a choice of several trading platforms. The Trade.com MetaTrader 4 Platform offers advanced technology that enables traders to access real-time rate streaming and immediate trade execution. MetaTrader is the most popular platform in the industry and the Trade.com version provides all the bells and whistles of the standard version as well as some additional ones. Traders can use a variety of tools such as direct deposits, limit settings, guaranteed trade execution, charting, and market updates. They can track open positions, open new ones directly from charts and quotes, review their account history, and even customized the trading screen to meet specific, individual trading patterns. Expert advisors can be added and charts in candlestick, line or bar chart display modes can be viewed. Trade.com offers a 22-page downloadable MetaTrader 4 guide to acquaint traders with this platform. 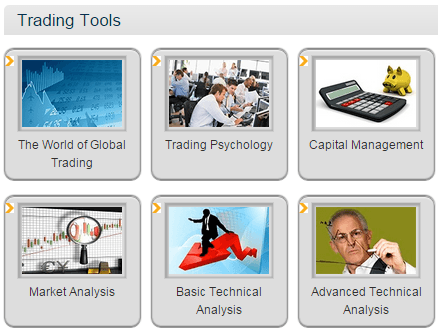 The Sirix WebTrader uses an intuitive interface with an extensive range of cutting-edge trading tools. This platform offers immediate trade execution and real-time rate streaming as well as a vast selection of features for opening and closing trades, setting and editing limits and stop losses, viewing daily highs and lows, utilizing extensive charting capabilities, and making direct deposits. The Trade.com advanced Mobile platform is totally synchronized for total compatibility with their web and download platforms. Developed with HTML5, the platform supports a broad spectrum of smart phone handsets, including iPhone, Android and Blackberry 6.